​"I am the true vine, and My Father is the vinedresser. Every branch in Me that does not bear fruit He takes away; and every branch that bears fruit He prunes, that it may bear more fruit. You are already clean because of the word which I have spoken to you. Abide in Me, and I in you. 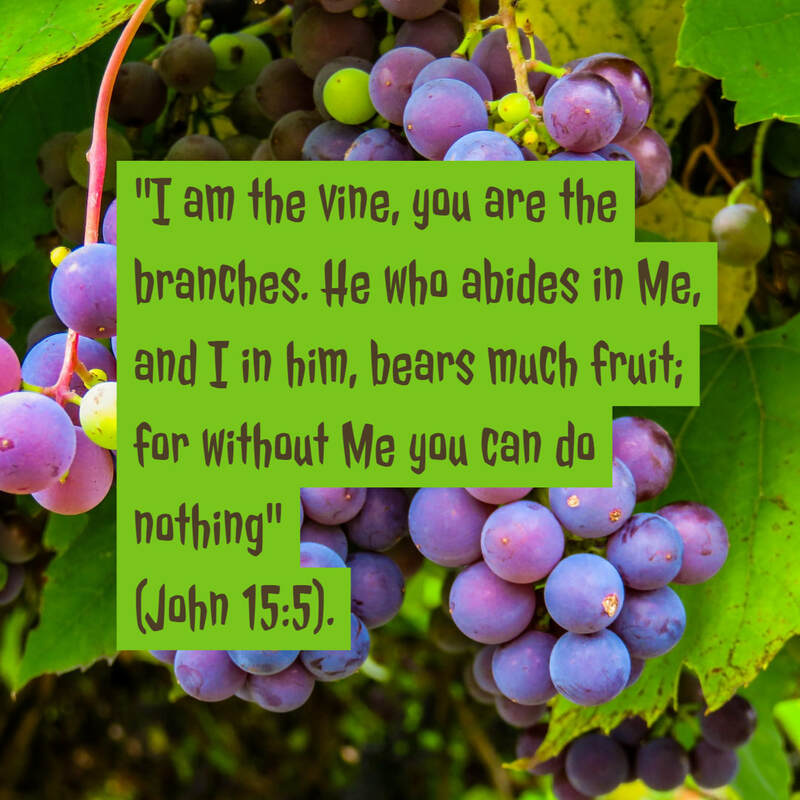 As the branch cannot bear fruit of itself, unless it abides in the vine, neither can you, unless you abide in Me. I am the vine, you are the branches. He who abides in Me, and I in him, bears much fruit; for without Me you can do nothing. If anyone does not abide in Me, he is cast out as a branch and is withered; and they gather them and throw them into the fire, and they are burned. If you abide in Me, and My words abide in you, you will ask what you desire, and it shall be done for you. By this My Father is glorified, that you bear much fruit; so you will be My disciples" (John 15:1-8). "You did not choose Me, but I chose you and appointed you that you should go and bear fruit, and that your fruit should remain, that whatever you ask the Father in My name He may give you" (John 15:16). "Do you not say, ‘There are still four months and then comes the harvest’? Behold, I say to you, lift up your eyes and look at the fields, for they are already white for harvest! And he who reaps receives wages, and gathers fruit for eternal life, that both he who sows and he who reaps may rejoice together. For in this the saying is true: ‘One sows and another reaps.’ I sent you to reap that for which you have not labored; others have labored, and you have entered into their labors”" (John 4:35-38). "The righteous shall flourish like a palm tree, He shall grow like a cedar in Lebanon. Those who are planted in the house of the Lord Shall flourish in the courts of our God. They shall still bear fruit in old age; They shall be fresh and flourishing" (Psalm 92:12-14).